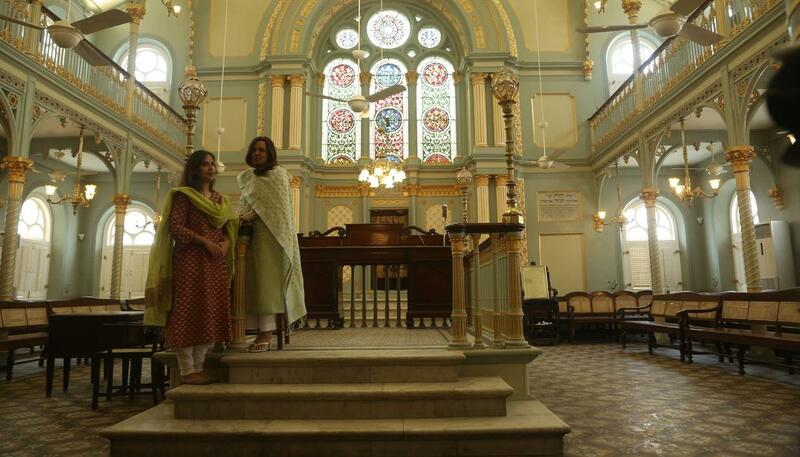 This monument is one of the most significant Jewish synagogues in India and is a place of worship for Mumbai’s Baghdadi and Bene Israeli Jewish Community. JSW Group has completed the restoration of Keneseth Eliyahoo Synagogue. 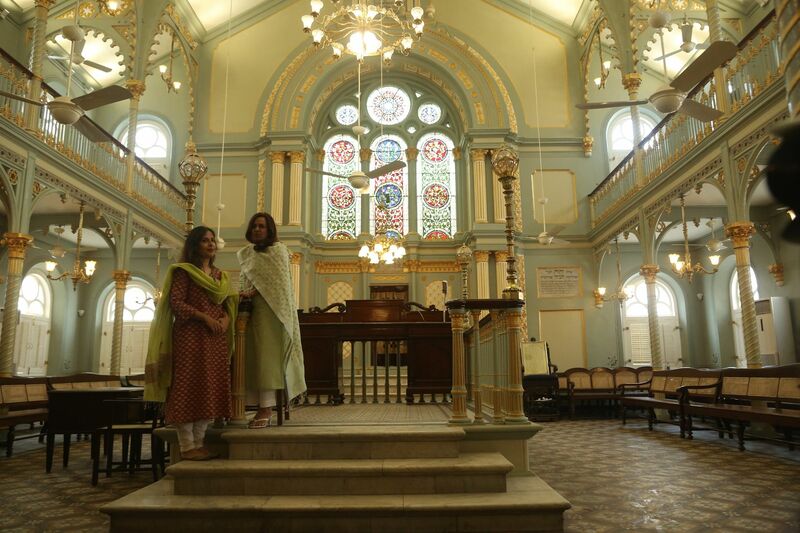 Located in the heart of Mumbai’s art district, the Keneseth Eliyahoo Synagogue is a Grade IIA Classical Revival Structure protected under the Heritage Regulations for Greater Bombay 1995. Originally designed by Bombay architects Gostling and Morris the Synagogue has now been restored to its original grandeur through the collaborative efforts of JSW Group, Sir Jacob Sassoon & Allied Trust, Kala Ghoda Association and World Monument Fund. 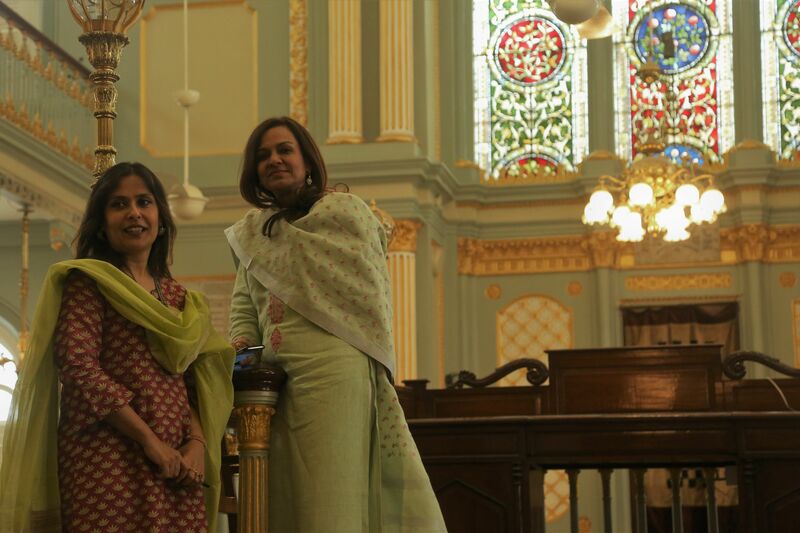 Ms Abha Narain Lambah has served as the Principal Conservation Architect of the Bombay Synagogue project while Ms Swati Chandgadkar has restored the stained glass panels. Solomon Sopher, along with Sangita and Sajjan Jindal will dedicate the restored Keneseth Eliyahoo Synagogue to the Jewish Community and the cultural heritage of Mumbai city on February 7th, 2019 in the august presence of Hon’ble Governor of Maharashtra, Shri. 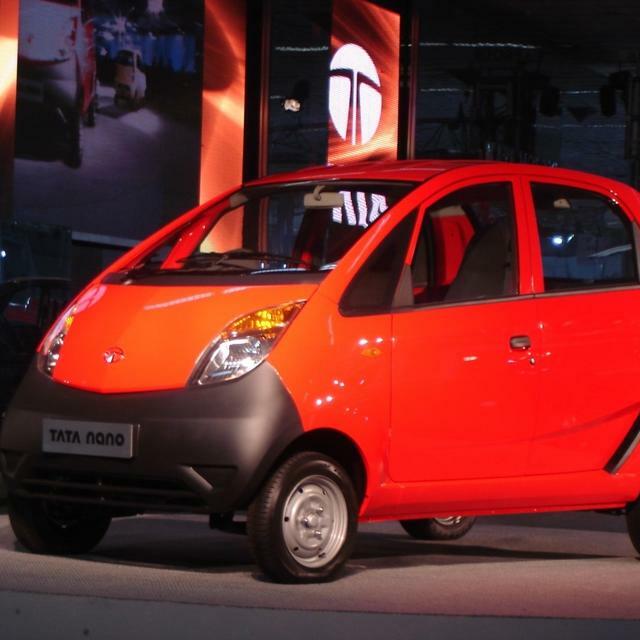 Vidyasagar Rao. 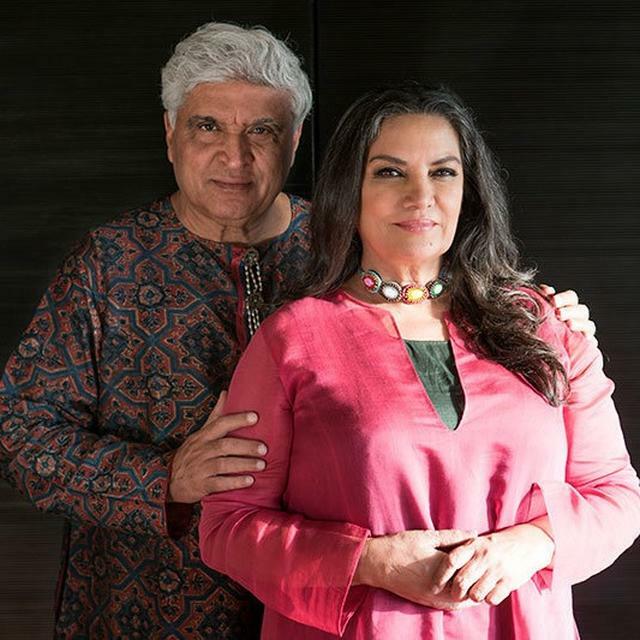 Mr. Solomon Sopher, Chairman & Managing Trustee of the Sir Jacob Sassoon and Allied Trust, said, “We are grateful to Mrs. Sangita Jindal, Ms. Abha Narain Lambah and others who have worked tirelessly in restoring our beautiful Synagogue. The Synagogue will be reopened to local Jewish community, as well as visitors from the 7th of February." The Keneseth Eliyahoo Synagogue architecture & design boasts of a large pediment crowning the western facade over the large semicircular fenestration housing three unique stained-glass panels flanked by fluted Corinthian columns. The stained-glass windows rest on intricately carved screens with geometric and floral pattern on either side of the ark that houses the Torah scrolls. The facade is punctured with neoclassical semi-circular and segmented fenestrations. Both entrances on the western and northern facade have been marked by smaller pediments supported by decorative brackets. Read: Chocolate Stream Flowed Through A Street In Germany. A special feature of the Synagogue is the use of rusticated plaster to decorate masonry courses on the ground floor. The prayer hall space has high ceiling contains large windows and clerestories with operable louvred shutters. The hall is arranged along an east to west orientation, with the entry doors placed east orientation and the Bechal, or Ark, containing the Torah scrolls, facing west towards Jerusalem. The sanctuary features a centralized or freestanding podium, a Sephardic, eastern Jewish tradition, from where the service is conducted. Surrounding the Synagogue’s podium are several wooden benches set on the floor which is finished in Minton tiles originally imported from Stoke-on-Trent in England. Separate seating areas for men and women are provided with sizeable upstairs galleries around the sanctuary’s double-height perimeter along the sides and rear. To restore the structural strength of the monument a number of interventions were undertaken ranging from roof repairs, terrace waterproofing, splice repair of damaged sections of timber rafters, as well as repair of structurally wooden members while adequately supporting the structure. The damaged terracotta tiled roofing was replaced with new tiles to match the original profile of timber boarding, wherever found missing in the roof areas. These were replaced using the same section wooden boarding as per original design. Lead flashing, originally used in most buildings for gutters, window frames and areas prone to water leakages, is re-introduced in a similar fashion. The cracks in the monument have been suitably addressed to ensure structural stability as well as to prevent further deterioration of the structure. Several of the Synagogue’s original religious symbols -- grape vines, citron fruit, and the Star of David among others – that had been obscured under years of blue paint have also been beautifully restored back on the walls. Have You Visited These Oldest Religious Places In Mumbai?